If nurses could be more involved in the creation of their work schedules, would you ultimately have a more engaged, satisfied, and alert nursing workforce? The author cites statistics that show while nurses overall are highly satisfied with their career choice, 98 percent find nursing physically and mentally demanding. It’s a pervasive problem; the same survey shows that an overwhelming majority have considered trying to switch to a position that offers better work-life balance. 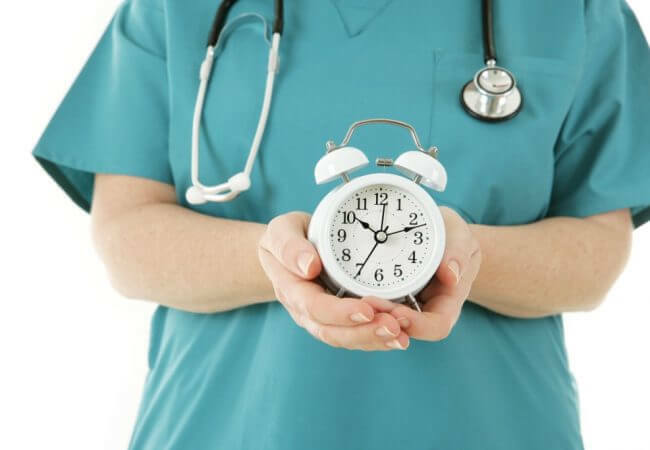 But more than half the nurses surveyed by Kronos Inc., say that having more control over their schedule would help alleviate some fatigue and, just as important, create a better balance between work and life. More than 80 percent of nurses surveyed fear that health care organizations are losing good nurses because corporations and other employers offer a better work-life balance, and more than 40 percent worry that patient care suffers because of tiredness. What do you think? Would having more control over your schedule help with fatigue issues and restore balance between your work and home life?